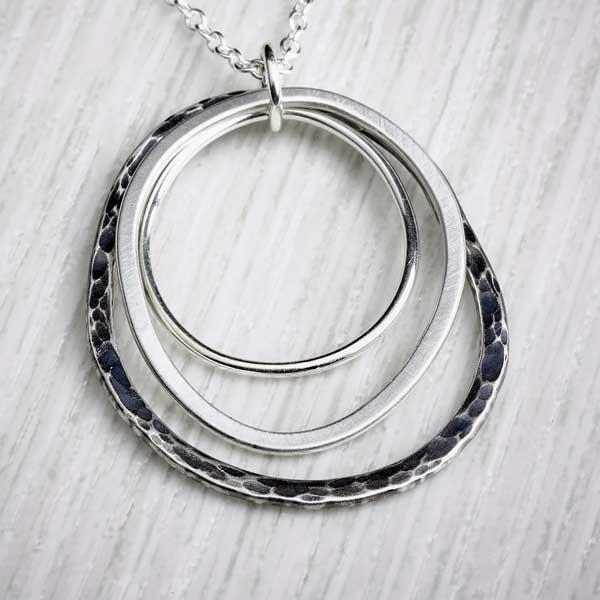 Three interlocking loops of textured silver. These Rockpool Bangles hang gently on the wrist and echo ripples moving across the surface of water. 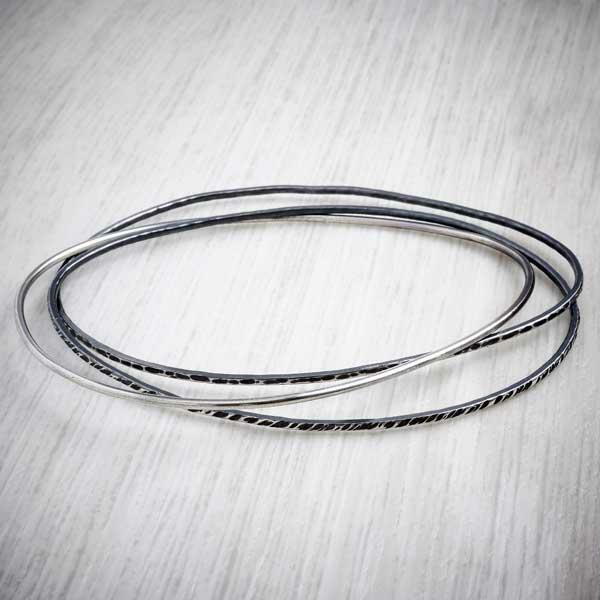 Inspired by the ripples in water found in the rockpools on the beach these bangles are formed from three interlocking fine and delicate loops of silver. The loops are formed to mirror the shape of a spoon bowl and textures are applied to the edges of two of the loops and the third is left untreated. The silver surface is oxidised and the surfaces polished back to reveal the intricate and distinct textures of each layer . 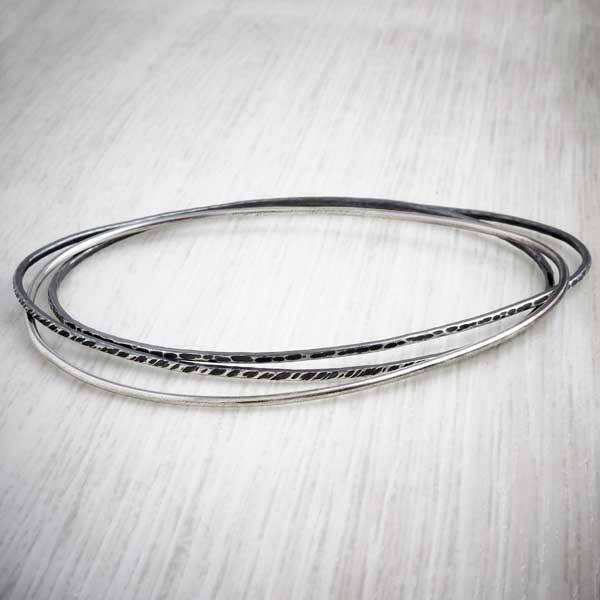 Each bangle band measures approx. 8cm at its widest point. Smaller sizes can be made on request. Packaged in a simple glassine bag and accompanied by a branded 'Echoes Collection' card that gives details about the whole collection, the inspirations behind it as well as information about the recycled nature of the silver used. Please align all three elements of the bangle perfectly before putting the bangle on and taking it off– this will ensure it goes on and off the wrist easily without straining and distorting the shape of the individual pieces. Store the piece in it's glassine bag or within a ziplock bag. It is not recommended to use a silver dip solution as this will remove the oxidisation from the silver.